Community members at Cypress Pointe already experience a serene living environment along with plenty of activities which will promote good sleep. But, there are things you can add and things you can remove from your bedroom to facilitate a restful night of sleep. 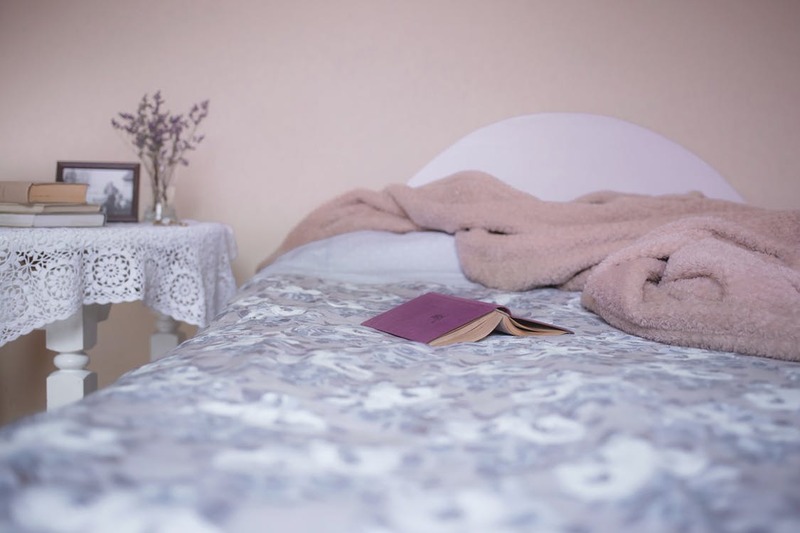 You can add soft sheets, a Himalayan Salt lamp, or creating a journal or a to-do list just before sleep, to clear your mind from the present day's events or tomorrow's activities. The blue light from your computer, tablet, or cell phone screen is a sleep interrupter. Artificial light throws off the human circadian rhythms, the physiological process that regulates sleeping and eating patterns. If you find it difficult to give up checking email before sleep, give yourself a time limit and use the lowest light setting. A good alternative is soft, relaxing music from a stereo as you fall asleep. Make your beside table clutter-free by removing paperwork, empty glasses, excessive pillows, and an over-accumulation of knick-knacks. A framed picture or two, your table lamp, your current reading material, and a telephone for incoming or outgoing emergencies, should be sufficient. You will sense a peace of mind when you declutter your sleeping area. Complete your office work and checkbook balancing before entering your bedroom. Make the bedroom useful for only one activity: falling asleep. If your mind is anxious with the next day's business meeting or your household budget, it will take that much longer for it to enter delta wave sleep mode. Even limit creative activities, which put the brain in an alpha frequency that is faster than the slowest brain activity required for good sleep. While it is a good idea to pre-select your outfit for the next day, it's not good to clothes hanging on chairs or the bed. Provide a hamper for dirty clothes and a shelf for gently worn non-work clothes which you plan to wear again. You will be amazed at how 'orderliness' supports good sleep. If you are looking for an apartment in Wilmington, visit us at Cypress Pointe. Our great location is near Wrightsville Beach, and we feature three unique floor plans.